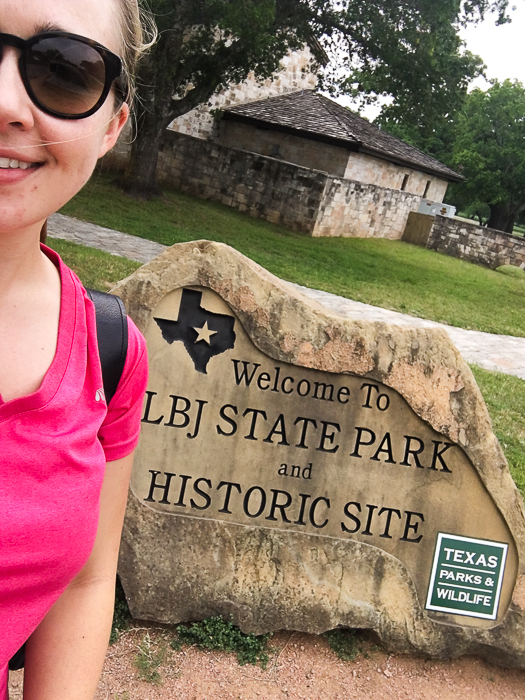 A couple of weeks ago, I stopped by the Lyndon B. Johnson State Park and historic site while en route to Fredericksburg. It was so cute and worth the stop! I am glad to finally know the charming park behind the gates. 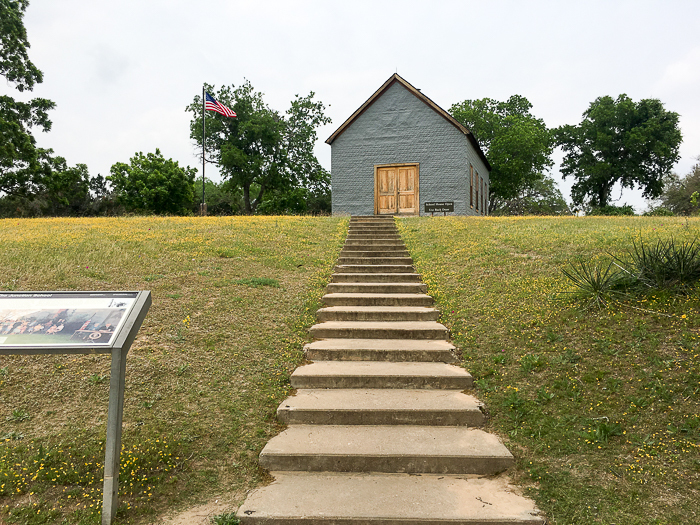 This ranch is where former President Lyndon B. Johnson was born and lived most of his life. I love that both President Johnson and former First Lady Lady Bird Johnson were advocates for the environment, and no doubt their childhood in the scenic Texas Hill Country was a huge reason for their love of the land. As First Lady, Lady Bird used her platform to promote the restoration of native landscapes across America, and President Johnson brought to pass many of the environmental policies we still have today. And in typical American fashion, they led a quaint little small town life, which you can see at the park. 2. Nearby there is plenty of nice lodging. This is quick trip from Austin or San Antonio and the area is known for its charming B&B’s. Check out this website for more info! 3. You’ll get the Texas ranch experience. Without having to shovel manure or clean dead rats out of a barn! Cows, barns, old ranch structures, white picket fences, tall oak trees, and acres upon acres of rolling hills greet you as you drive around. 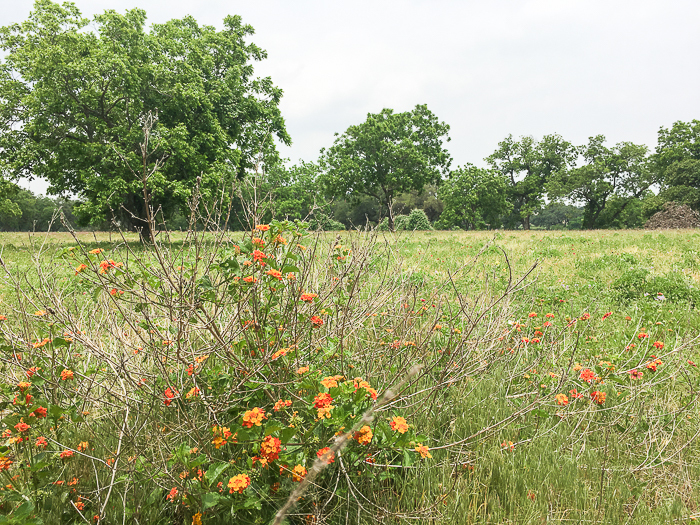 This ranch is also home to part of the Official Texas State Longhorn Herd. Because this is Texas, y’all, and we have an official longhorn herd. 4. It’s next to 2 of Texas’ best state parks. You can hit the trifecta of Hill Country Parks on your trip to this area. 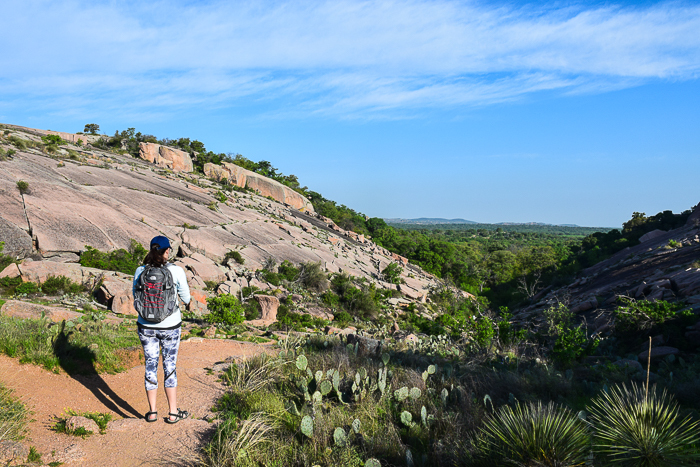 Pedernales Falls State Park and Enchanted Rock State Park are both within a half hour. If you’re a Texan, and you haven’t been to Enchanted Rock or Pedernales, you need to get in the car now!! 5. Extremely kid friendly–all trails are stroller friendly and the rest can be seen from the car! I loved being able to see the highlights from my vehicle…the air conditioning and music was so nice. 6. 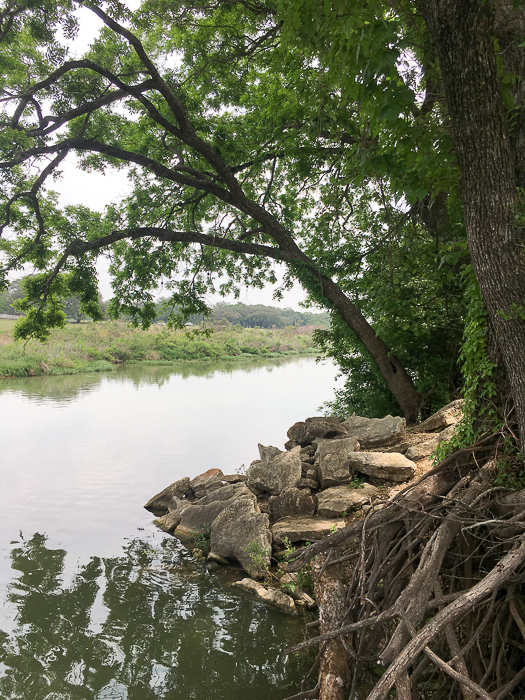 Pretty views of the Pedernales River. Perfect for a dip or for the fishermen and women in your crew. 7. Lots to do in the area. If you like shopping, cute B&B’s, or brunch, then you are in luck! (And we need to be friends.) Nearby is Johnson City, a charming little town with a market and restaurants. Fredericksburg is just thirty minutes away and has lots of good shops and eateries as well, like the Fredericksburg Herb Farm (their brunch is fantastic.) And a discussion of Hill Country sites wouldn’t be complete without mentioning the area’s famous wineries and Texas Wine Trail! 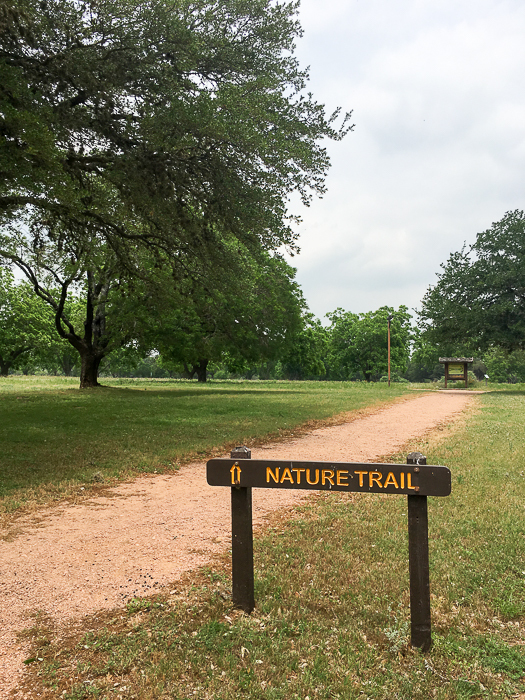 Get your nature fix at the park and then go find an excuse to dress up in Fredericksburg. 8. Great wildlife and wildflowers. I saw bison, axis, butterflies, and tons of wildflowers. 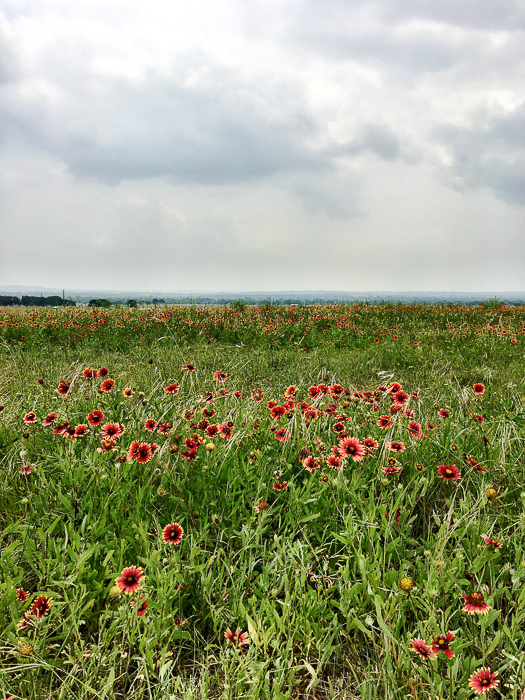 If you need pics in the wildflowers, this is your place. Heaven! The lessons that stick with us are ones which we relate to–that affected us, involved us, or told stories of people like us. 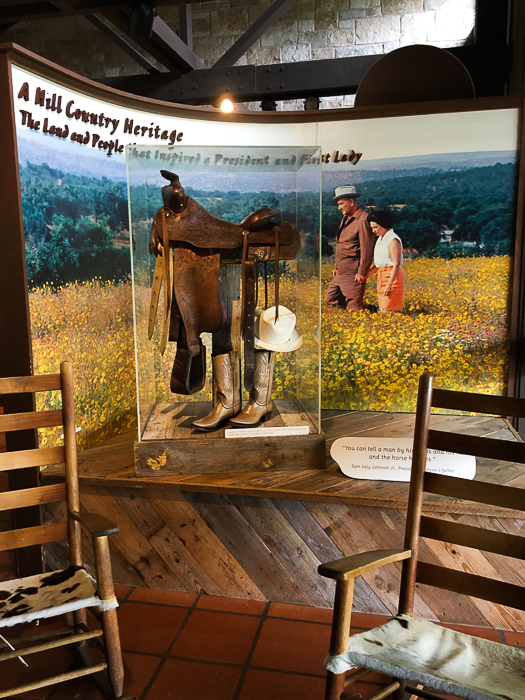 Seeing President Johnson’s humble beginnings on a Texas ranch, and learning about his Presidency from that perspective, is an enriching history lesson. If you want your kids to learn about American history or political science, why not take them to see the country home of one of two Presidents from Texas? They will see how someone from a simple life grew up to be a great President and what could be a better lesson than that? The picnic area has plenty of tables and room to spread out, so if you are looking for a fun lunch stop on your way to Fredericksburg then stop here. 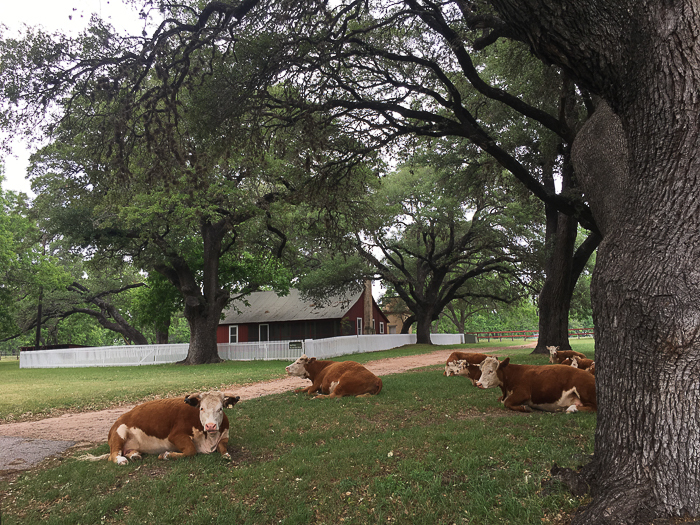 No Replies to "9 Reasons to Visit LBJ Ranch and State Park"